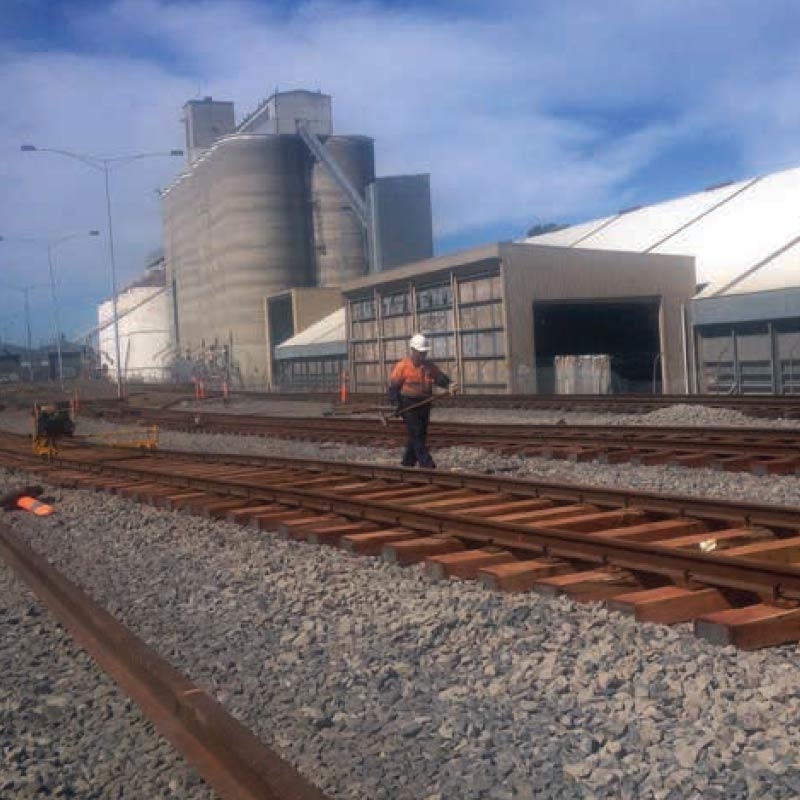 In just over a week, McLeod Rail constructed a new siding for Regional Rail Link Work Package C, comprising three new roads totalling 300m of track and two new turnouts. McLeod Rail supplied a crew of labourers, supervisors and the required plant. The works included boring the sleepers, sleeper lay out, rail installation, track welding and ballasting.